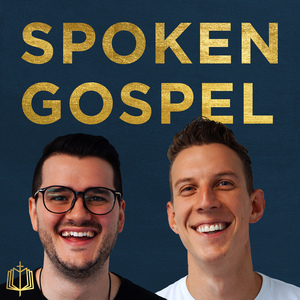 We found 10 episodes of Spoken Gospel with the tag “old testament”. Leviticus opens with a description of 5 different offerings: Burnt, Grain, Peace, Sin, and Guilt. What is the significance of these offerings? What did they look like? What differentiates them from one another? And how do they all point to Jesus? Leviticus asks us to inhabit a world with which we are very unfamiliar. A world of animal sacrifice, purity, holiness, and temple worship. In this episode, David and Seth set up helpful categories for how to understand and walk through the book of Leviticus. Q&A: How Do I Know I'm Saved? There is a question that arises in our minds as Christians at one point in our walk with Christ: "How do I know I'm saved?" In this special Q&A episode, David and Seth answer this question and show through scripture how we can know if we are truly saved. We are near the end of Genesis, and we find ourselves still waiting for the promise that God made to Abraham. Looking closer at chapters 37-50, David and Seth reflect on the life of Joseph, and how God reveals the hidden wisdom of the Spirit to Joseph, through his faithfulness in the worst of circumstances. We become rich in wisdom when we place faith in Jesus Christ himself and the cross that brings us back into the fold of God. From the womb, Jacob was one that had an appetite for deceit and trickery. How does God bring about the promise, even through Jacob's nature that often thrived in trickery? In this episode, David and Seth talk about why God chose Jacob to carry on his promise to his people, showing that God will follow through on his promise, turning what man had tended for evil into good. Even through the crucifixion of Jesus, God continues to bring goodness and mercy for mankind. Isaac, the son who made Abraham and Sarah laugh in response to the fulfilled promise God had made, carries on the blessing of God. How will the promise be brought about in the life of Isaac, and show us how Jesus is the new Isaac? In this episode, David and Seth dive into the story of Isaac's life, and how God spared his life on the mountain, in contrast to God not sparing his own son. He did not spare his son because he wants to show the world how indefinite, limitless his love is for man, declaring the promise of eternal life. Abraham is chosen by God to be the father of a nation that will bless the world. How does this family lineage lead us to Jesus? In this episode, David and Seth examine the relationship between God and Abraham, and that even amidst the brokenness, God makes good on his promises, through the fulfillment of Jesus nailed to the cross. The flood is a difficult story for many. It’s a story of both judgment and salvation. For us, it may be hard to see Jesus in the midst of this story. But for the New Testament authors, they couldn’t help but see him. David and Seth discuss how the world spiraled out of control, what God did about it, and how Jesus provides the solution for it all. How does Psalm 22 reflect Jesus' Crucifixion? In this episode, David and Seth are joined by author Cameron Cole to discuss Psalm 22, and how in our suffering, God hears and understands the pain, sorrow, and misery that comes in this life, because he suffered the loss of his son Jesus on the cross. Cameron Cole has been the Director of Youth Ministries at the Cathedral Church of the Advent for 14 years in Birmingham, Alabama, and as of January 2016, his role has developed to include Children, Youth, and Families. He is also the Founding Chairman of Rooted Ministry, an organization that promotes Gospel-Centered Student Ministry and Youth Ministry. He is also the Co-Editor of “Gospel-Centered Youth Ministry: A Practice Guide” (Crossway, 2016). He is pursuing a Masters in Divinity from Reformed Theological Seminary. How does the Fall narrative foreshadow the cycle of death, within the genealogy of Jesus, throughout the Bible? Why is Jesus the only one who can defeat the curse of death? In this episode, David and Seth discuss how God offers hope and promise through Jesus, who is the embodiment of hope that breaks the curse through his death, burial, and resurrection. *Side-Note Correction: 55:31-55:42- Janet Leigh is the lead actress in the Alfred Hitchcock film, "Psycho".